Rules and regulations at Prakash College are extremely strict. 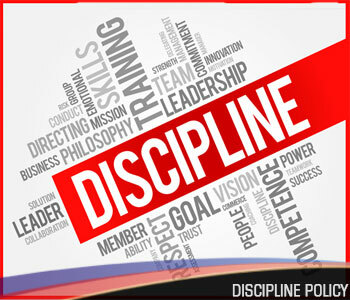 Maintenance of college discipline, adherence to its rules & code of conduct & obedience to the instruction issued from time to time by the Principal or other college authorities will be mandatory & binding on each student & violation there to will render the concerned student to appropriate disciplinary action including suspension, expulsion from the college & rustication in accordance with the relevant rules of the Maharashtra State Board / University of Mumbai. Students are expected to take utmost care of college properties. Damaging any college property will amount to serious breach of discipline and amounts to misconduct & is punishable. Any association, groupism, organization, unionism etc… detrimental to students and/or college interests will be severely dealt with. Smoking and/or drinking alcohol and/or found drunk in the college premises is totally prohibited & is subject to be viewed with serious concern. Students are liable to lose their terms for disobedience, misconduct, misbehaviour, violation of rules and regulationsfor students, norms & instructions & may also be suspended or expelled or even rusticated for their acts of immodest & unpalatable conduct of serious nature. Failure and/or neglect to comply with the norms, requirement, instructions issued from time-to-time, and rules and regulations at Prakash College will lead to stern disciplinary action.